BUD: We've Lost Too Many Buildings! Downtown Utica has been transformed by the passing of time. Once just rolling hills, then a small village, next growing rows of wooden homes and shops, then large brick buildings, and still larger brick and stone buildings. Downtown in the boom times of 1930 was dense with people and buildings. However, as our economy and population fell, so did too many of our buildings. BUD says we have wrongly labeled the Columbia Lafayette Street as blighted and prime for a bulldozer, but that's just not true! Perhaps not as busy as a NYC street, but as far as Utica Streets go, the Columbia-Lafayette corridor is very productive today. There are 40 businesses and while roads and sidewalks are a bit busted, that can be said for much of the city. Some buildings are in rough shape, and others vacant. However, even the worst building has a future, if a plan is made. That's where BUD comes in. We have a plan, but first we must protect our street grid, Historic Buildings and existing businesses. Then we'll embark on our bigger Vision. First, please consider the following paragraphs and pictures below. 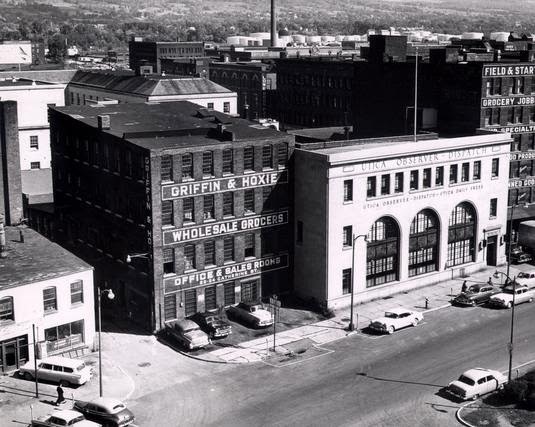 BUD will show that while Utica has lost many blocks of buildings, some have been saved. With the change, many blocks are empty and only surface parking, and others have been replaced with lesser quality in-fill properties. Utica should protect itself for becoming a nondescript city, because if we cannot stay uniquely Utica, it will become even harder to compete for residents. Today the Observer-Dispatch sits alone, surrounded by parking lots and roads. This fate has stolen the character of a Utica neighborhood, and made it more like a suburban business park. 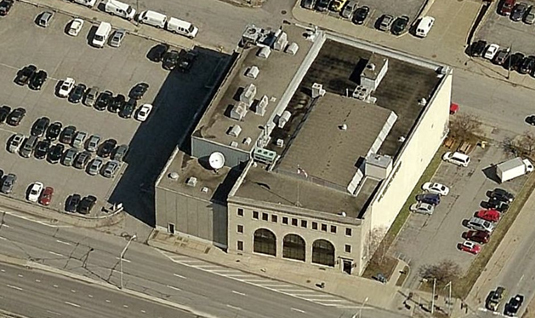 Had Utica not lost all of those surrounding Observer-Dispatch buildings, we'd have some great prospects for lofts! 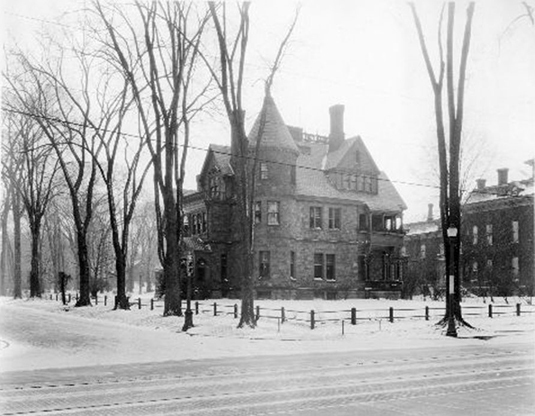 Not located in our downtown, but showing what happens when Utica's buildings are not protected, the former Frederick Gilbert Mansion is shown below. The home was located at the corner of Genesee Street and Clinton PLace. Today, in place of this home, sits a gas station and to the right a strip mall as shown below. 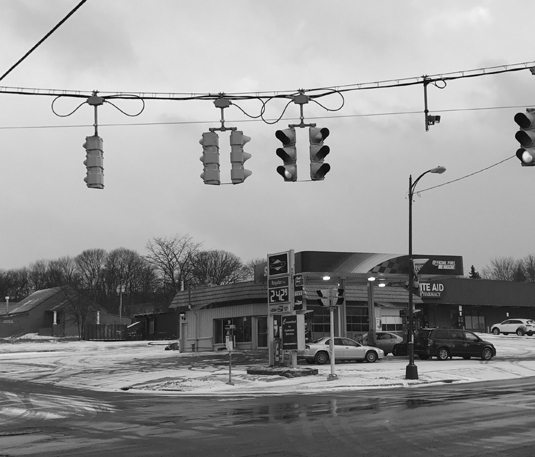 Just like Genesee Street, few will come to admire a gas station. However, if old mansion tours were offered, attracting tourists and residents would be easy. The Columbia and Lafayette Streets have already lost important buildings, and the neighborhood's character has eroded. A warning needs to be heard, as it's too easy to knock-down properties. What replaces them is often ugly, and all sense of place is lost.